This is the oldest public building in North Georgia and the oldest extant courthouse in Georgia in its original form (the old Government House in Augusta is older, though heavily modified). 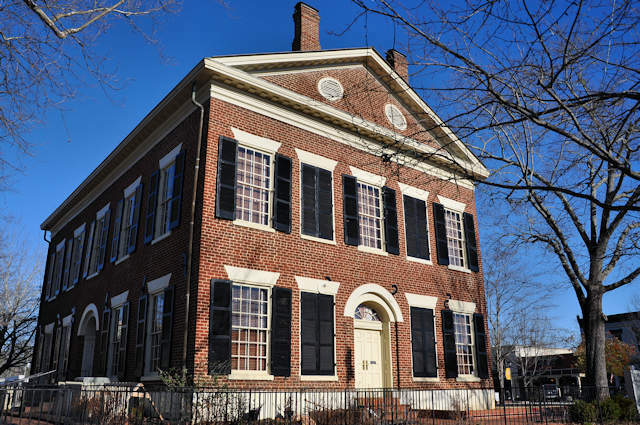 Even before the courthouse was built, Dahlonega’s prominence was validated by the government, which authorized a branch mint here in 1835. (Gold had been “discovered” in the region in 1828 with a rush of prospectors into the Cherokee Nation, in which Dahlonega was located, following in 1829). Ephraim Clayton employed bricks made from Cane Creek, a mile away, in the construction of the courthouse. A branch of the United States Mint was opened just south of the courthouse in 1838. By 1849, many of Dahlonega’s miners were bound for California and other points west lured by the promise of more abundant gold. 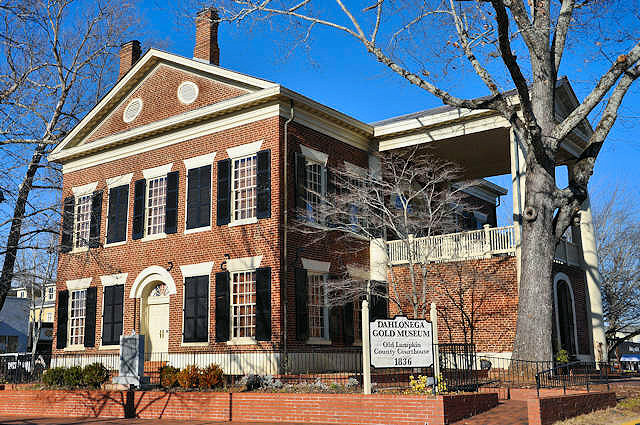 After serving as the courthouse for over 125 years, the building was given to the state in 1966 and now serves as the Dahlonega Gold Museum.